Here we stand, on the brink of August ... cannot believe my busy summer filled with bike races and sailing and work work work is nearly past (although in Southern California, August tends to be more summer-like than July!) Yesterday afternoon we participated in a SAIC* webinar for parents of incoming students, cannot believe in less than a month our little Megan will be off to college! Wow. 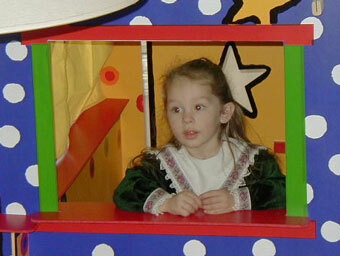 That's a picture of Meg fifteen years ago, at 3. Hehe. 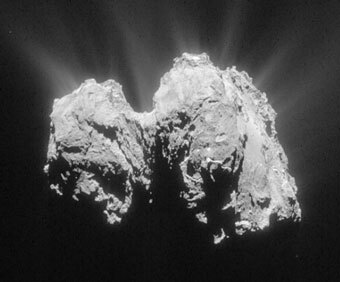 Back to space (more cheerful) ... Rosetta finds primordial soup of compounds on comet. "The European Space Agency (ESA) ... announced that the mission to explore Comet 67P has discovered 16 organic compounds, described as 'carbon and nitrogen-rich.' The agency says on its website that the discovery, made by the Philae lander includes four compounds that have never before been detected in comets." Little Philae managed to be quite useful before crash landing, and it might not be dead yet, either.